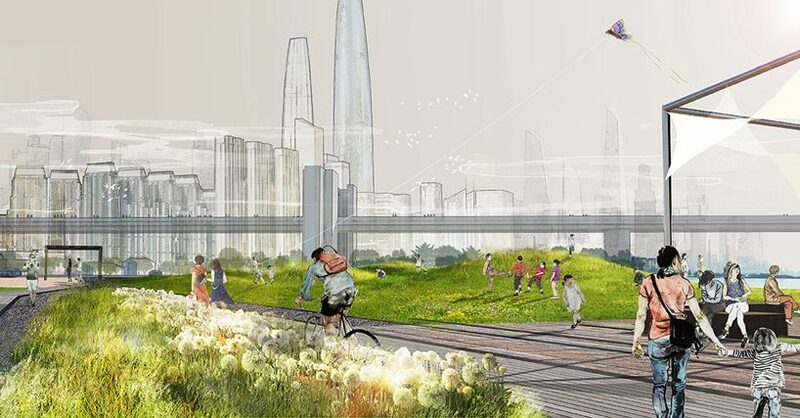 sasaki is an international interdisciplinary planning and design firm providing consulting and design services in the fields of architecture, landscape architecture, and urban planning. 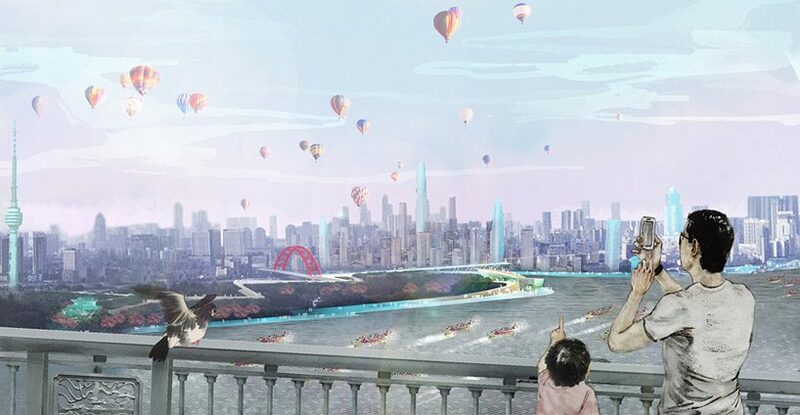 international design studio, sasaki, has unveiled their plans to transform the yangtze riverfront in the chinese city of wuhan. 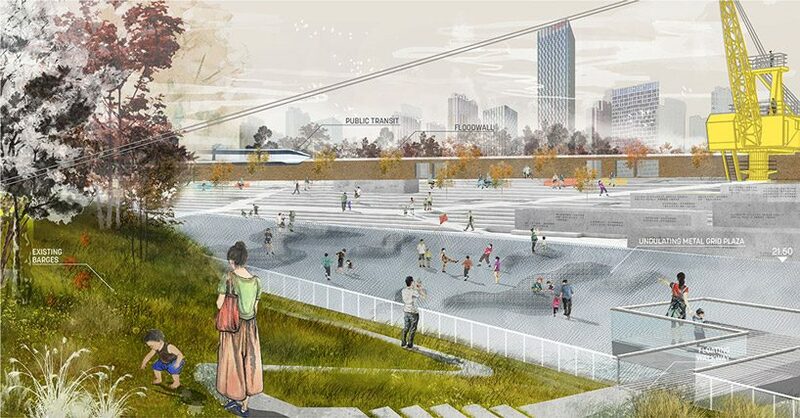 in collaboration with OMA and gensler, the masterplan embraces the local ‘river culture’ that has been formed by centuries of close relationship with the river. 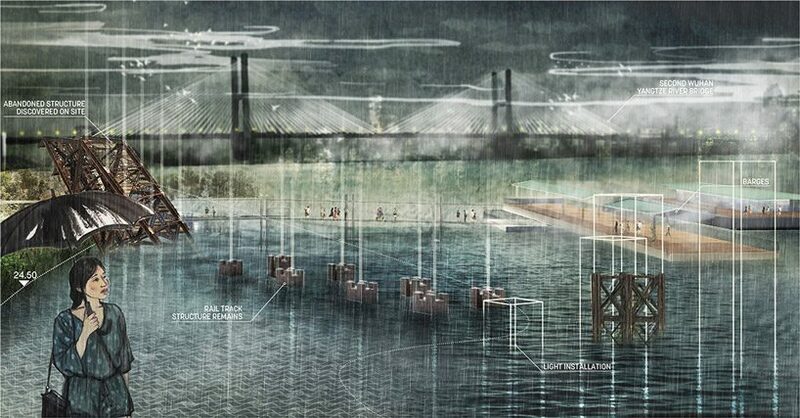 the project envisions a sequence of recreational environments on the waterfront that addresses issues of flooding. the yangtze is asia’s longest river, however the cities that sit along it’s banks are suffering increasingly from flood damage. 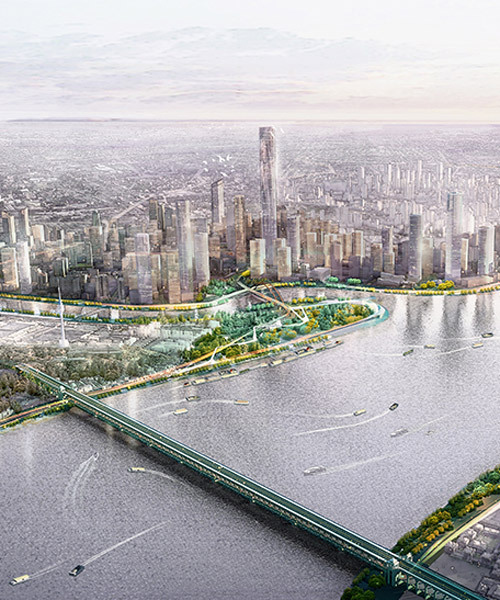 sasaki‘s design therefore uses this issue to create a rich regional ecology, while also reinforcing the wuhan’s local identity and relationship with the river. 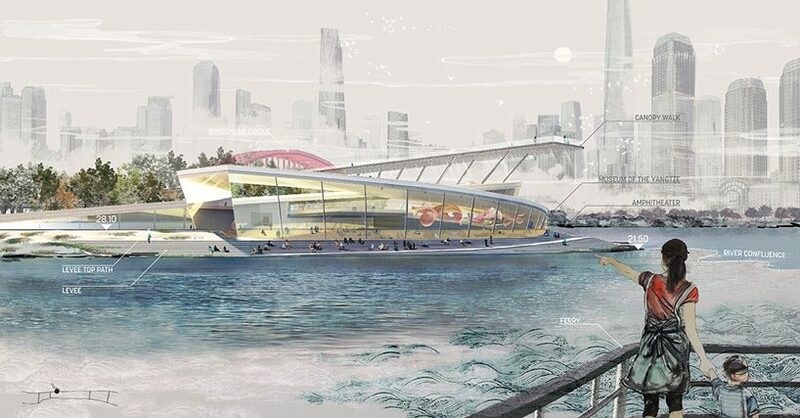 the masterplan proposal envisions a dynamic recreational experience that adapts to the rise and fall of the water levels. 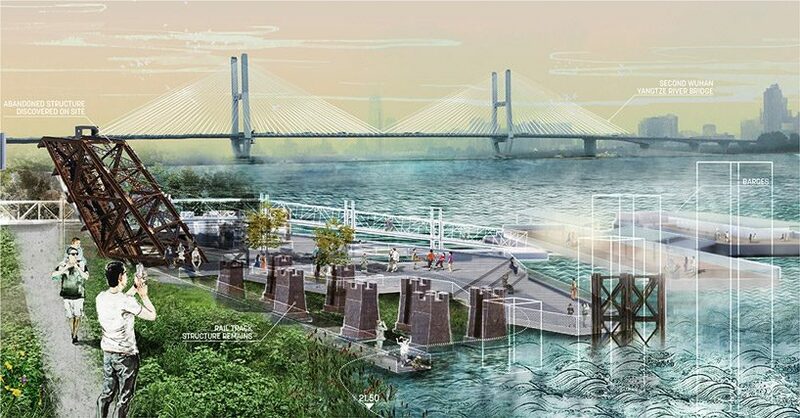 the ‘river culture’ is so deeply embedded in wuhan that people still frequent the riverfront parks even when they are flooded – enjoying the rare excitement of such intimate contact with the water. 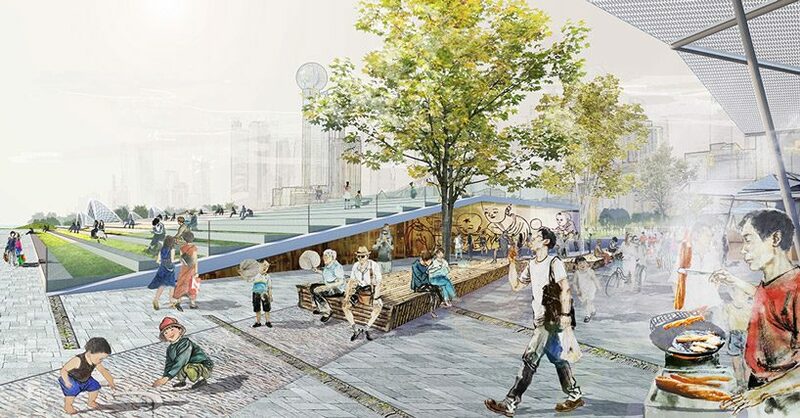 the design of the park celebrates this and leverages frequent flooding events as a vital driver of place-making strategies. 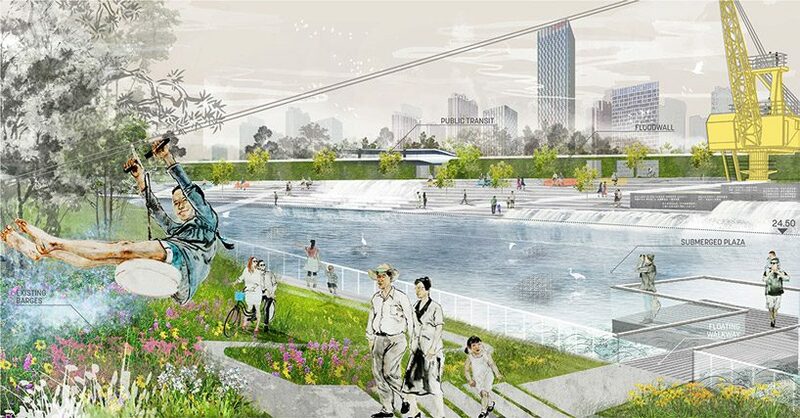 much of the programming along the river is designed to celebrate the river’s spontaneity and incorporate its flooding as an essential element of the ever-changing landscape. 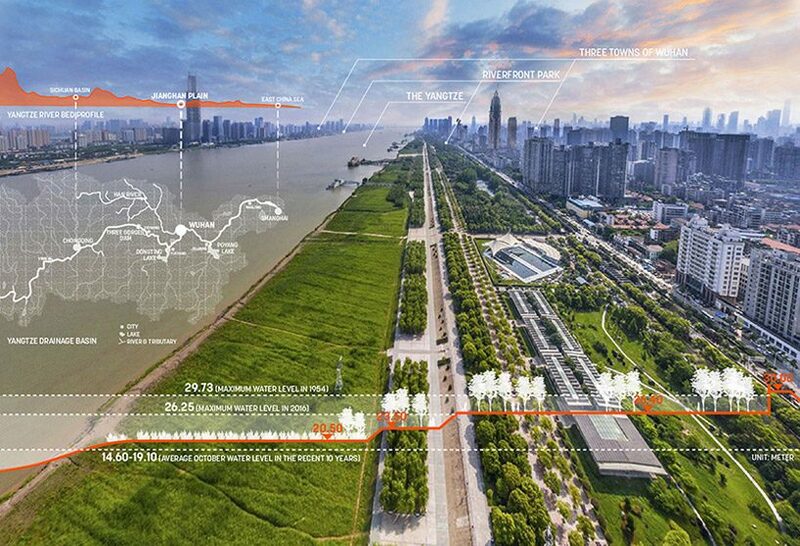 through strategic dredging and grading, the design creates heterogeneous micro-environments that host a wide variety of distinct wetland ecosystems in the mudflats. nuanced topography, coupled with the river’s frequent water level fluctuations, enable complex plant communities to grow. 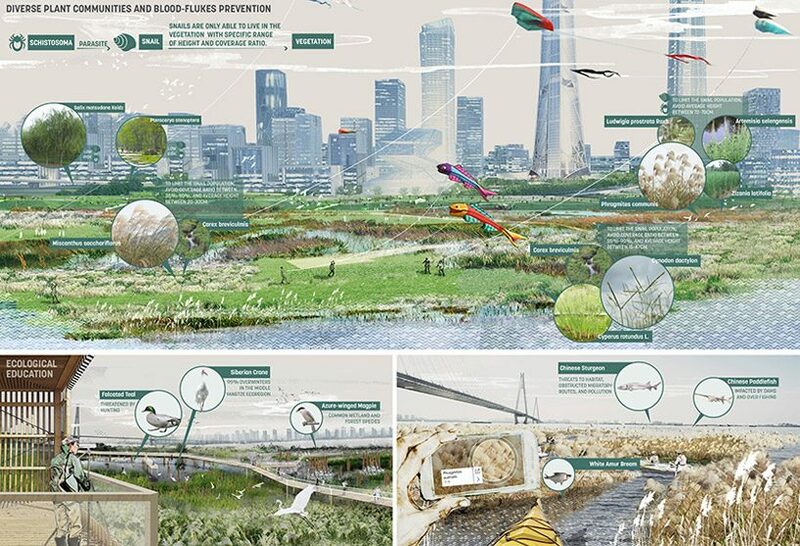 from emergent marshlands to vernal pools, these typologies create an evolving landscape character throughout the year.